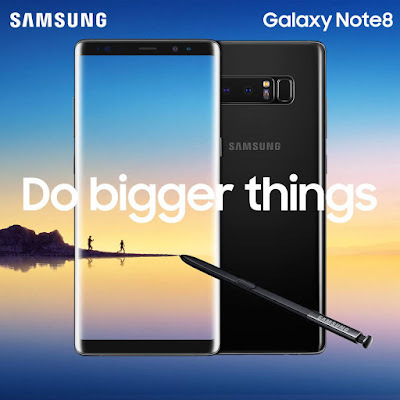 Samsung just announced its latest note series the Galaxy Note 8, Looking back last year's Note despite making it what many were calling the perfect smartphone, the Galaxy Note 7 proved that some things are too good to be true and a global recall later, the industry moved on from Samsung’s late 2016 flagship device. It looks like the Galaxy Note 8 seems to share the exact same design seen with the Galaxy S8 and Galaxy S8 Plus. The the infinity display, the on-screen keys, IP68 water/dust resistance, and the Bixby key. While the Galaxy S8 and S8 Plus are no doubt best looking smartphones on the market right now, they aren’t the easiest to hold do to its thin edge and display design. Thankfully, the Note 8 improves this with a slightly thicker and wider design, despite containing an even larger display than the S8 family. Like the Galaxy S8, the Note 8 has curved edges to the left and right side of the displays as well as on the rear. The major difference is that the curves have been dialed back a little on the note, resulting in a smartphone that is a little squarer than its Galaxy S8 siblings. Another difference is that the slopes are stepper and more aggressive than the S8. The Galaxy Note 8 is a massive device. Compared to the Galaxy Note 7, the handset is a little taller and a little thicker and has a larger display. On paper Galaxy Note 8 is a beast, packed to the brim with all the very best specs. Just like with the Galaxy S8, the Note 8 is powered by the latest Exynos 8895 processor in Internationally including Philippines, while the US model gets the latest Qualcomm Snapdragon 835 processor. Looking further under the hood, the Note 8 comes with 6 GB of LPDDR4 RAM and either 64 GB, 128 GB, or 256 GB of on-board storage depending on your market and carrier but expect the 64gb variant locally. There’s also micro SD card support, which allows you to expand the storage further by up to 256 GB. Of course the Galaxy Note 8 has new display, which follows the Galaxy S8 and uses 18.5:9 aspect ratio to deliver incredibly large real estate for a phone this size. The display is a 6.3-inch Quad HD Super AMOLED Infinity Display which, despite a similar profile to the Galaxy Note 7, is over half an inch larger. Like the Galaxy S8, the display also comes with a mobile HDR Premium certification from the UHD Alliance. Turning to connectivity, the Note 8 offers Bluetooth 5.0, WiFi ac, 1024QAM for Quadrature amplitude modulation, and NFC, which combines with MST. 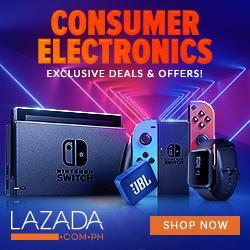 There’s also Gigabit LTE, which promises to offer speeds of up to 1 gigabit per second on supported carrier networks (Philippines not included). The Galaxy Note 7 reportedly used a faulty battery and tried to pack too large a capacity into the handset. This time around, Samsung is being a bit more cautious, offering a smaller 3,300 mAh battery. While this isn’t the largest on a smartphone of this size, it should be enough to see you through a full day’s usage. Samsung’s Adaptive Fast Charging from the Galaxy S8 family makes a return here with the Note 8, as well as the wireless charging options. As a reminder, this means that you can wirelessly charge the Galaxy Note 8 using either the Qi or PMA wireless charging standards so you’ll have plenty of ways to get back up and running. 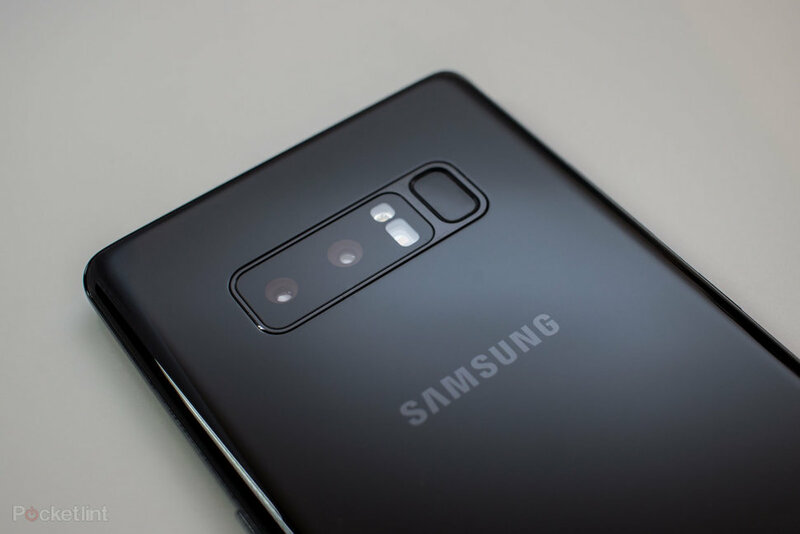 The dual camera trend we’ve seen with just about every 2017 flagship so far, the Note 8 is the very first Samsung phone to offer a dual configuration, and also the first smartphone to support Optical Image Stabilization or OIS in both lenses. For its dual camera setup, Samsung has opted for a telephoto camera combined with a wide-angle camera, which allows you to create bokeh effects in photos. The telephoto camera is a 12MP autofocus sensor with f/2.4 aperture while the wide-angle camera is also 12MP and has f/1.7 aperture. The wide-angle lens also comes with a Dual Pixel sensor with rapid auto-focus, which allows you to capture sharp and clear shots in all lighting conditions. With two lenses comes the ability to add depth of field to images and the Note 8’s new Live Focus feature could be one of the best. With Live Focus, you’re able to preview the depth of field before you take the photo, make the adjustments after capture and adjust the amount of bokeh in the picture. The camera also comes with a new Dual Capture mode that lets you take two pictures at once. In this mode, both rear cameras take two images simultaneously – a close up shot from the telephoto lens and a wide-angle shot that shows the entire background – and you’re able to use either image as both are saved for use as you see fit. On the front, the Galaxy Note 8 is equipped with an 8MP Smart AutoFocus front-facing camera for sharp selfies and video chats. 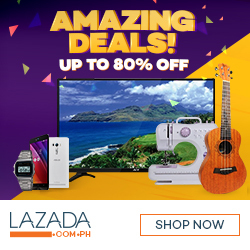 This camera remains one of the few to support Quad HD video recording natively, which makes it the perfect tool for selfie video lovers and vloggers alike. Samsung’s new flagship still rocks Nougat. The good news is that Google has announced it is “working closely” with OEM partners to release Oreo “by the end of 2017”. Samsung was one of the OEMs listed, meaning that Oreo should hopefully arrive no later than December 31st. As you’d expect, the Note 8 sees the return of Samsung’s iconic UI unofficially referred to as “TouchWiz”, despite the name no longer officially being used. Ultimately the software experience remains the same as what was found with the Galaxy S8 family, save for the addition of S-Pen support and a brand new App Pairing feature. App Pairing is a new addition to Samsung’s Edge UX software and essentially allows you to set up custom shortcuts of paired apps that can launch into Multi Window with the tap of the shortcut icon. Like launching FB and snapchat simultaneously. It wouldn’t be a Note without an S-Pen. 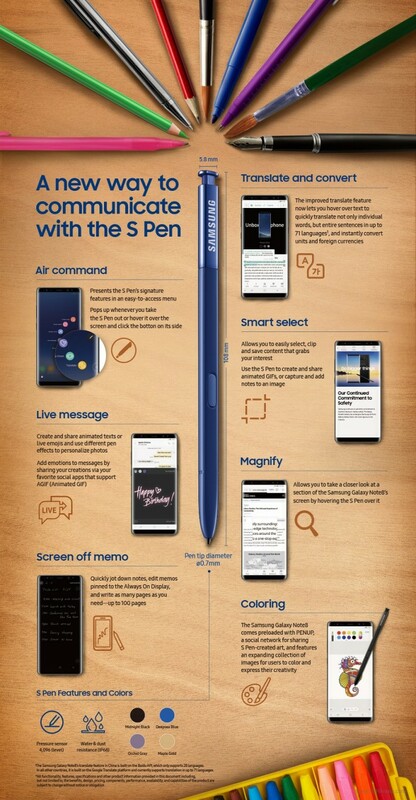 The Note 8 has all the features seen on the not 7 S-Pen software, alongside one new main feature. The new feature is called Live Message, and it allows you to hand-write a message, add special effects, and save it as an animated GIF that can be shared using any app that supports gifs. This can be a rather unique way of sending a message to a friend or loved one on a special occasion such as their birthday or a celebration. Samsung has also further refined some of its other functions, like Translation and Screen off, which we’ll be sure to dive into a bit deeper in future coverage. It’s also worth mentioning the Galaxy Note 8 comes with the PenUp application preloaded this time around, which allows Note 8 users access to a community of millions of people who love to draw using their Galaxy Note devices. Note 8 will still support the gear accessories and Samsung Dex. Expect a Silver carpet event by Samsung Philippines for the official launch of the Note 8 in local the market within the following month.